Chinese vaporizers have a terrible reputation…right? 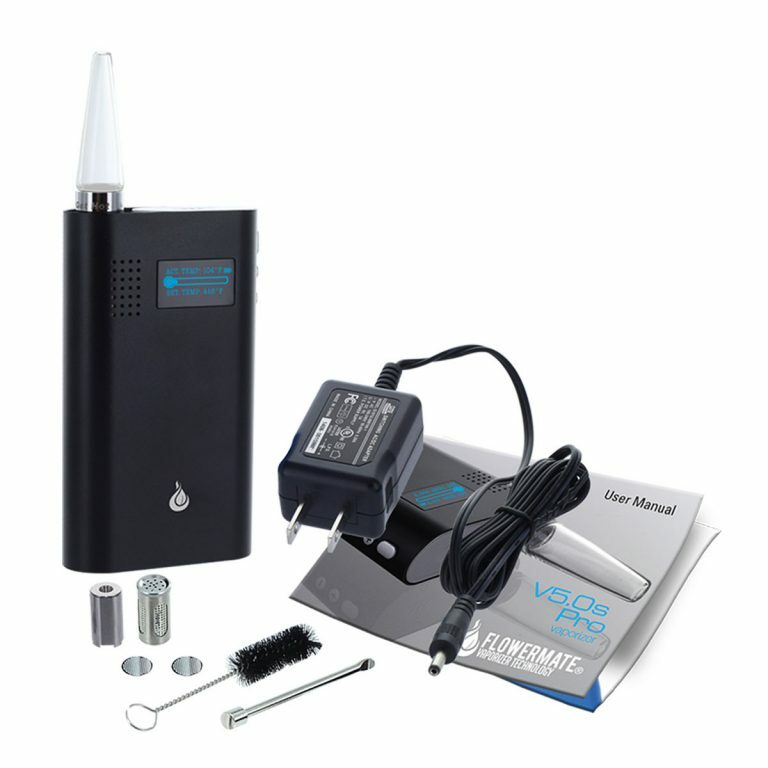 The Flowermate vaporizers can NOT be compared to your average Chinese no-name vaporizer. Flowermate vaporizers are CHEAP (like you would expect from a Chinese vaporizer), but they’re well known for their excellent quality and especially their reliability. 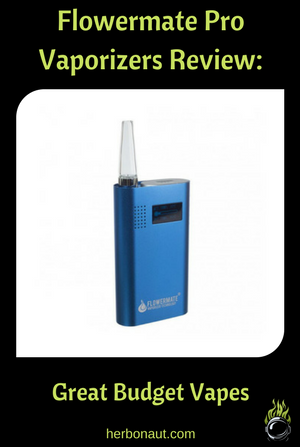 are conduction- session-vaporizers designed and manufactured by the Chinese company Shenzhen Smiss Technology. You won’t get premium vapor quality or extremely potent hits, but for their price-point, the Flowermate vaporizers, and especially the Flowermate V5S Pro & Flowermate V5S Pro Mini, offer excellent value for money. Are the Flowermate V5S Pro and the Mini Pro the BEST budget vaporizers you can get? Looking like a regular box, the design of these vaporizers is nothing fancy. Its anodized aluminum shell does look quite elegant for a budget-vape. But I can’t say as a whole; this is an elegant, or sleek looking vaporizer. Once you put the mouthpiece on the base unit, you might see some resemblance with a regular vape mod/mod box, which could help in its discreetness. I do feel its LED display gives the Flowermate V5S Pro a modern touch, and it looks cool in the dark. 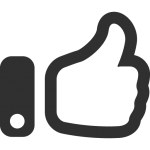 The overall build quality of the vaporizer is outstanding. It’s a very solid vaporizer which can take some beating. And some plastic and silicone parts throughout the vaporizer. One thing the designers did well, is incorporating a small compartment at the bottom of the vape where you can store the mouthpiece. This helps with its portability, as you will see. The Flowermate V5S Pro is pretty big vaporizer. With the mouthpiece attached (and sticking out), I wouldn’t qualify it as a pocket-vape. You can store this mouthpiece in the small compartment at the bottom of the vaporizer. Taking into account this factor, you can qualify the Flowermate as a pocket-vape. 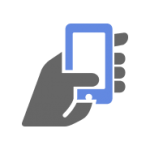 If you’re interested in its exact dimensions and weight: 4″ x 2.5″ x 0.75″ (10.1 x 6.3 x 1.9 cm) and 140 grams. Its smaller brother the, the Flowermate V5S Pro Mini, is much smaller and is a true pocket-vape (even if you're a little person). This vaporizer is a simple box. With some imagination or to non-vaping people, it could very well look like a regular vape mod/mod box. If you’re alright with looking like you’re ‘just’ vaping (not necessarily marijuana but e-liquid), then it does have a discreet design I guess. I do feel the regular Pro (not the Mini) is too big to be discreet. You can’t hide that you’re inhaling something by sucking on that thing (no pun intended). Both these vaporizers smell quite a bit when in use, like most conduction vaporizers. I also wouldn’t keep any fresh herb or ABV (already been vaped bud) in the bowl, if you want to be discreet. The bowl is not airtight when covered. Clean your bowl with an ISO alcohol dipped Q-Tip after every session if discreetness is important. Because it will smell. Although the vapor does smell in the first minute or so, it (the smell) dissipates quickly. But this is not particular to the Flowermate vaporizers; it’s like this with almost any vaporizer. The Flowermate V5S Pro is quite a smelly vaporizer. This is where the regular Pro (not the Mini) shines. 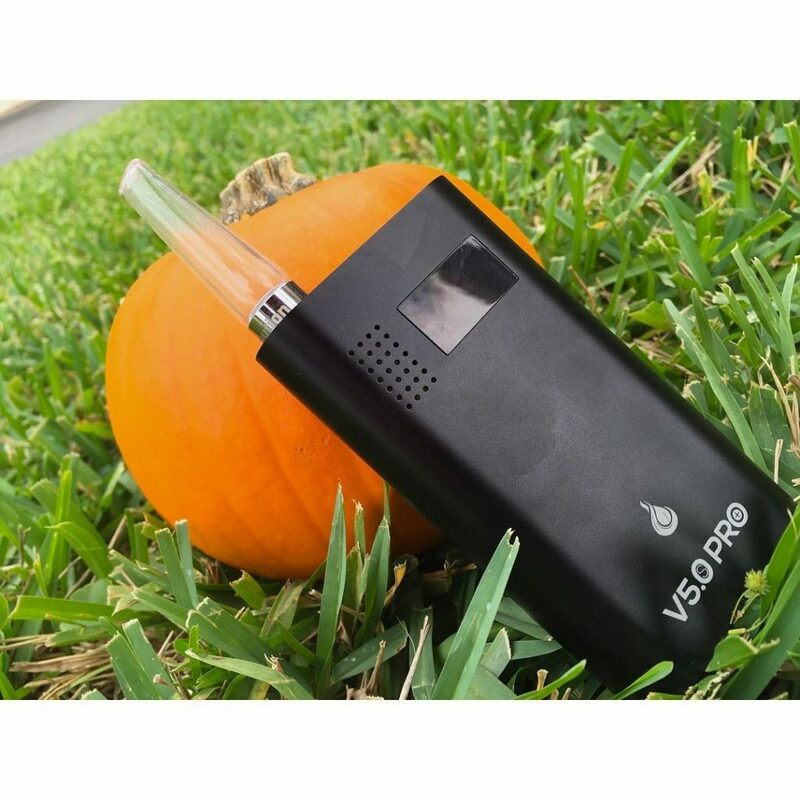 It has the BEST battery-life of any portable vaporizer. You will be able to get 15-20 full bowls or 2.5 hours of continues use. Note: Battery life is quite short on its smaller brother, the Mini-Pro. It is much more pocket-able though. 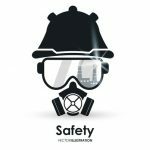 Chinese vaporizers don’t have the best reputation regarding safety. Not EVERYTHING out of China is low quality. The Flowermate vaporizers are in my opinion not less safe than the average Western vaporizer. Let’s dive a bit deeper though. The ceramic heating chamber should be fine regarding safety. I do say ‘should’ because there are many different types of ceramic and unfortunately, I couldn’t find any information on the specifics of the type of ceramic used in the FM V5S Pro & Mini. This means I can’t give a definitive conclusion. Note: alumina ceramic is currently the best type of ceramic for vaporizers that I know of, because it has excellent mechanical strength, electrical insulation, high-frequency loss, thermal conductivity, and is highly resistant to heat, wear and tear and corrosion. The vapor path is mostly ceramic from the heating chamber, and then there’s the glass mouthpiece, which is the best material regarding safety. There is a small silicone insulation ring above the bowl though. But this shouldn’t be an issue if the silicone is heat-resistant (which I believe it is because there are no funky smells). The electronics of the previous model: the Flowermate V5S did not have the electronics separated from the air path. And it seems with this new iteration they still haven’t separated it. While vaping, I blew back into the mouthpiece, and you could see vapor coming out of the buttons. No heated air should be passing through there though, but still, it might be an issue for you. Note: Its smaller brother, the Flowermate Mini-Pro V5S does seem to have an isolated airpath, after testing it in the same manner. When you first get one of these vaporizers, there will be a pungent polyimide tape smell. Most vaporizers that come fresh out of the factory have a funky smell in the first few sessions (that's why it's always advisable to put your unit on max temp and let it run for at least 30 mins while blowing air through it). But with the Flowermate vaporizers, it’s even worse than average. Even this smell, you can get rid of…with some patience. I PERSONALLY (I say this because safety and flavor are my HIGHEST priorities when vaping) wouldn’t use these vaporizers if I was a heavy user. I want to minimize risks to the best of my ability. But I’ve never had such a pungent off-gassing plastic/electronic smell from any vaporizer I tried the first time (remember though that I only test/review quality vaporizers). For a budget-vape, the Flowermate vapes provide good potency. But for most ex-combustors and cloud chasers the results will be lackluster. Don’t be expecting huge and potent clouds from these things. Will it get the average vaper medicated? If you’re looking for a budget-vape that hits quite a bit harder, take a look at the Boundless CFX. There are some tricks to increase the potency of the Flowermate V5S Pro, which you can read about in the tips and tricks paragraph (specifically look for the ‘basket screen mod’). Don’t be expecting miracles from the Flowermate vaporizers in this department either. It’s a pure conduction-vape which always is worse for taste than pure convection-vapes. And this has to do with the fact that with conduction-vapes the flavor just deteriorates fast. Compared to the higher-end conduction vapes like the PAX 2, it also has worse flavor than those. I’m not sure why, but my first guess would be that it has something to do with the quality of materials used in the vapor path. I don’t think they’re of bad quality, but I do believe they're of a lesser quality compared to the PAX 2 for example. The flavor also gets pretty harsh in the higher temperature ranges. If you want to keep it smooth, I suggest you maintain the temperature below 356°F(180°C). The last one, extraction-efficiency, does not have an impact on your wallet (it does affect the potency of your vaporizer though). But session- and threshold-efficiency do have an impact on your wallet. The Flowermate vaporizers rate low on both of these efficiencies. You’re going to be using at least 0.2-0.3 grams of herb since you have to finish your session (your bowl will stay heated and keep vaping your herb, whether you draw from it or not). Its session-efficiency is also quite bad. 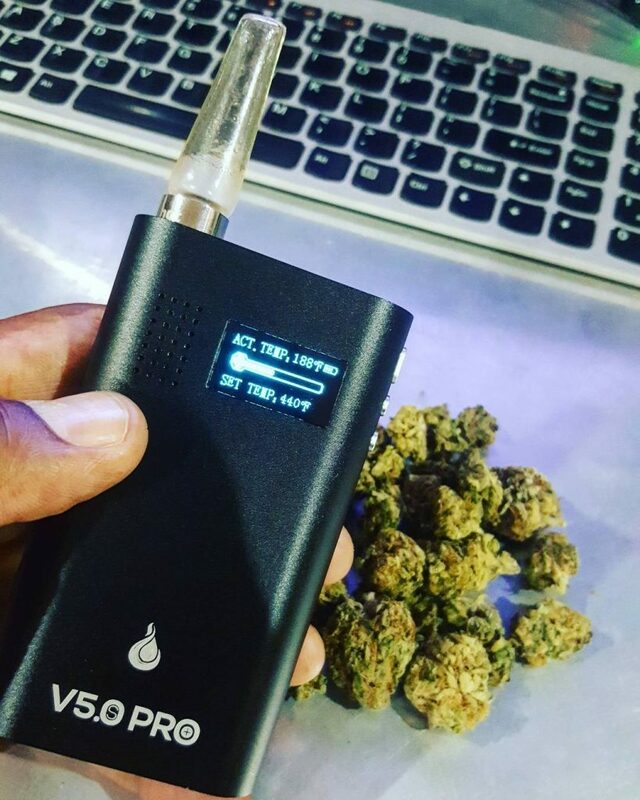 The Flowermate V5S Pro will always be cooking your herb once it’s on, whether you’re using or not, whether you’re drawing or not. If you don’t finish your session quickly, quite a lot of herb will go to waste. The Flowermate V5S Pro is one of the least efficient vaporizers I’ve rated. It’s STILL much more efficient than smoking/combustion though. …if you use the vaporizers as they come out of the box. Just like with the Boundless vapes, the Flowermate vaporizers perform much better with some simple modding. This is not for everyone so let’s first look at the vaporizer how it comes straight out of the box. Not waiting until your vaporizer is heated up properly. If you take care of these points, it is a foolproof vaporizer. There’s some draw resistance with this vaporizer. I would rate it as medium. 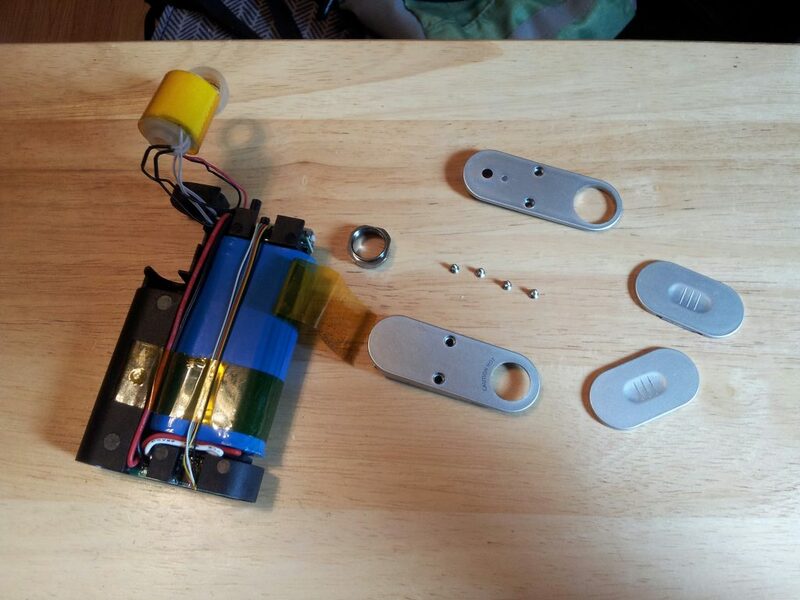 But you can reduce the draw resistance by quite a margin with a simple modification. Remove the screen in the mouthpiece. And you will be saving yourself headaches further down the road! Keeping your unit clean is very easy. But forget this and cleaning your Flowermate can turn into a hell. Once resin gets stuck to the heating chamber (bowl), it doesn’t come off quickly. It’s more comfortable with a metal pick, but I don’t think it’s very safe to clean the ceramic heating chamber with a metal pick using a lot of force. Also, if you care about flavor and proper airflow, you need to clean the mouthpiece often. I would do it after every 1-2 sessions. Although cleaning your Flowermate V5S Pro doesn’t take a lot of time, you need to do it frequently to avoid problems further down the road. For a budget-vape, the Flowermate V5S Pro has some unexpectedly good temperature control. With the temperatures in this range, you will be able to reach every optimal temperature to achieve a specific effect. I don’t think the temperature display is as accurate as some of the high-end vaporizers (I don’t have any basis for this other than the fact it’s pricey to incorporate a precise temp setting display and the Flowermate vaporizers are cheap). But it is precise (precise as in you can choose your temperature setting within 1-degree increments)! You might be afraid to combust at the highest temp settings. No worries, it’s virtually impossible to combust with this vaporizer. Shenzhen Smiss Technology’s reputation does start with a handicap compared to American and European vaporizer manufacturers. 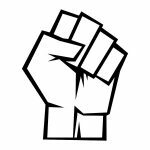 But what most people don’t know is that most American and European vaporizer manufacturers manufacture their vaporizers in China! The only difference with the Flowermate vaporizers is that they are also designed in China. I don’t believe quality Chinese products are inferior to quality American/European products. This also holds for vaporizers. But not everything out of China is terrible! And the Flowermate vaporizers are high quality among the budget vapes. Their vaporizers don’t have a high defect-rate or anything. 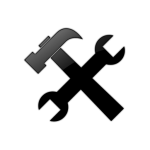 The Flowermate vaporizers are very reliable and chances of you ever needing to send one back to fix issues are quite slim. There was one small issue with the older models of Flowermate vaporizers though. They get clogged up easily and provide lousy airflow. But the newer models of the Flowermate vaporizers have improved screens and come out quickly, effectively counteracting this issue. And this all led to the Flowermate vaporizers becoming even more reliable and dependable. Cheapest (electronic) vaporizers, which still provide good performance. Very easy to use: no learning curve and easy to clean as long as you maintain your unit. Precise temperature control for full control over the effects over your vapor. Durable and reliable: can survive a drop and will easily last you a couple of years. FM V5S Pro: INSANE battery life (2,5 hours). FM V5S Pro Mini: very small and discreet look. Be stealthy while you're out and about. Flavor leaves much to be desired. Not efficient by its core design (full conduction, large bowl). Quite smelly hindering its discreetness. Extremely pungent polyimide/electronics smell with initial few uses. FM V5S Pro: airpath not separated from electronics. If you’re looking for the cheapest vaporizer that still performs decently, the Flowermate vaporizers take the number 1 spot. This is going to be more of a general conclusion for the different versions of the Flowermate vaporizers. These vaporizers are just great entry-level vaporizers for the beginner or someone looking for a reliable backup vape. And if you’re looking for the cheapest vaporizer that still performs decently, the Flowermate vaporizers take the number 1 spot. 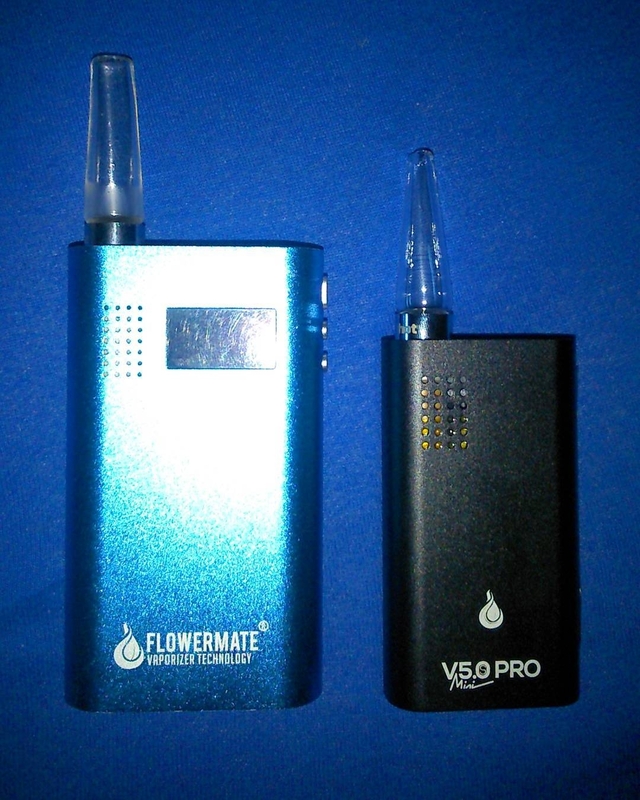 The Flowermate V5S Pro and Mini V5S Pro are slightly costlier than their vanilla versions. But to me, that slight bump in price is definitely worth the precise temperature control you get with the Pro versions. Don’t be expecting miracles from these vaporizers. Performance-wise they’re behind almost any vaporizer I’ve reviewed. Especially flavor and efficiency leave much to be desired compared to the Arizer Air and potency is behind the Boundless vaporizers. Then again, you can get the Flowermate vapes close to half the price of the vaporizers I just mentioned. Safety wise: I think they’re safe to use but if safety really is a high priority and you still want to stay in the low-end vapes category, I would go for something like the Boundless CF / Boundless CFX which do have a proven isolated airpath (but are more expensive). In case you're looking to be discreet odor-wise, the Flowermate vaporizers are quite smelly. They are very pocket-friendly though (especially the Mini versions) and can be used discreetl because of their modest size and vape-mod-box-like design. These vaporizers are also extremely durable and can take quite some beating (please don’t take this as an invitation to be careless with your Flowermate, anything can break). Do realize that the Mini versions have quite crappy battery life, but they are more pocket-friendly. The Flowermate vaporizers are the cheapest vaporizers that you can get that still perform very good. The ‘Pro’ versions are slightly more expensive but give you precise temperature control, which IMO is worth it (no need to upgrade if you already have one of the vanilla versions though). For a little more money though you can get the Boundless CFX, which I feel is just a better vape than any of the Flowermate vaporizers. But if you’re looking for the cheapest of the cheapest and still good performance, go ahead and get yourself a Flowermate! Grind as fine as possible. Fill up your bowl up till 80-90% and compress your herb lightly. If you compress too much, you will restrict airflow too much. NEVER fill it past the ceramic rim though! If you don’t fill the bowl, use a ceramic screen on top of your load to compress it. I always advise using a ceramic screen on top of your load! This vaporizer is a sipper. Which means that you need to take slow, controlled and short (5 seconds) draws. Another tip: use your cheeks to force yourself to take slow and controlled draws. 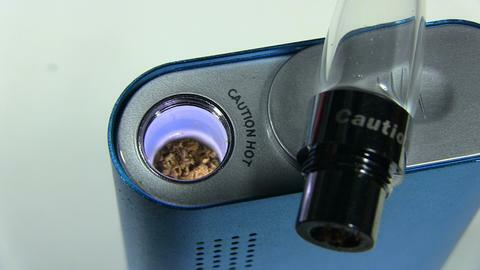 Like with every conduction vaporizer, stir your bowl halfway through your session to get a maximum extraction. If you have one of these older models, I urge you to replace them with either the new Flowermate screens or other higher quality screens. I’m talking about the bottom screen in the heating chamber and the screen in the mouthpiece. Here’s an excellent tutorial on how to do this. You could also remove the screens entirely and see how that works out. I only recommend removing the screen in the mouthpiece though. To get better flavor, potency, and efficiency, I suggest you use this mod. Install it at the top of the heating chamber, or attach it around the male end of the mouthpiece. 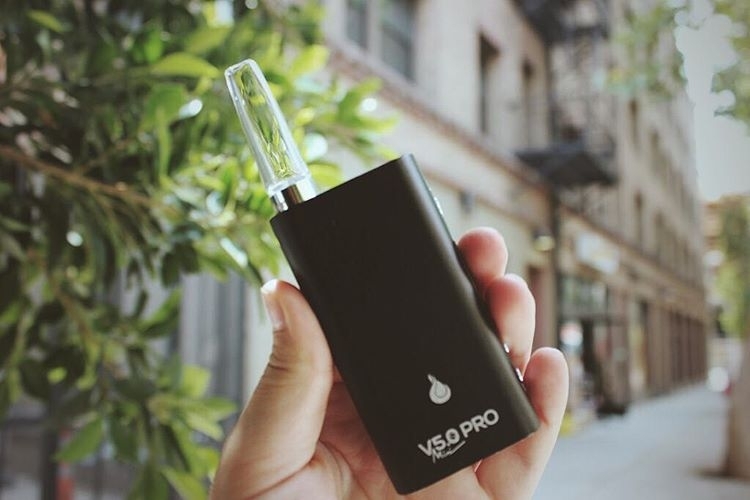 Your Flowermate V5S Pro will essentially turn the vaporizer into a hybrid vaporizer (conduction and convection combined).